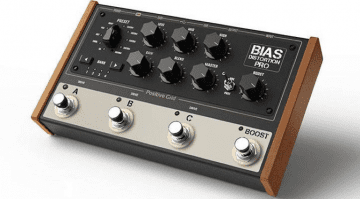 Due later this year, the Distortion Pro from Positive Grid is intended to model all types of gain pedal in your DAW via the Positive Grid BIAS software. Virtual gain in a virtual world? 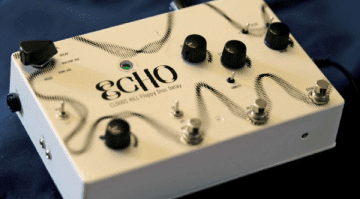 Available in ridiculously limited numbers with a price tag to match, this unique delay pedal is based around technology from the not so distant past: floppy discs. 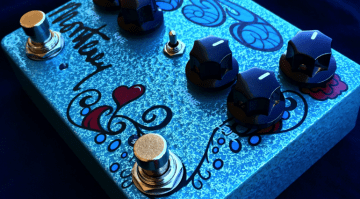 A modern interpretation of the much loved MXR 45 phase circuit. 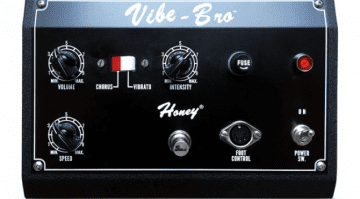 With come modern tweaks and an added vibe function as well. 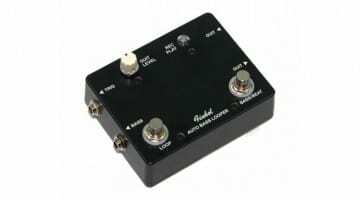 Crowd funding could be the way forward to bring back these once very popular fuzz boxes from the USA. 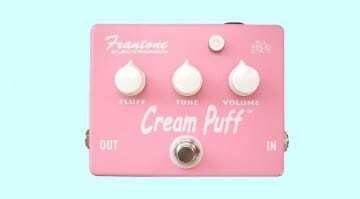 The Cream Puff fuzz has not been available for some years now and so hopefully it will return soon! 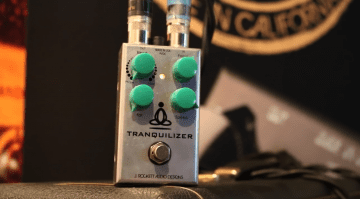 This pedal looks like it could be a groundbreaking ambient effect unit, developed with the legendary guitar player and one time wearer of the almost as legendary skullet! 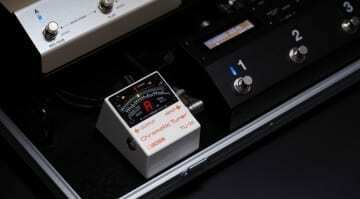 A new high quality boutique dual pedal for boosting you guitar signal. 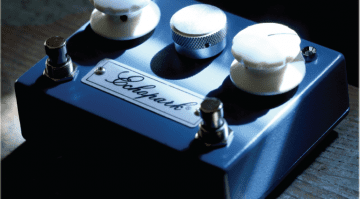 Based on a '70s classic and a boutique modern boost. 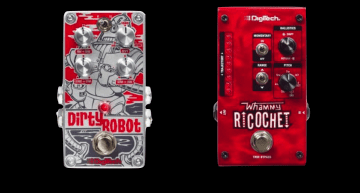 New for 2016: the Reverie series of twin pedals pack a lot of features into a fairly small format, and could be a good way of cramming a lot of effects onto a crowded pedalboard. 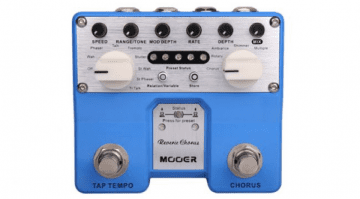 Boss have announced redesigns for their classic TU-3 tuner pedal, with two new variations presented at the Musikmesse show this week. 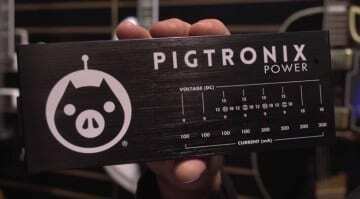 The Pigtronix Power should have enough power for the most demanding of pedal geeks, hoarders and those with pedal boards the size of a UFO. 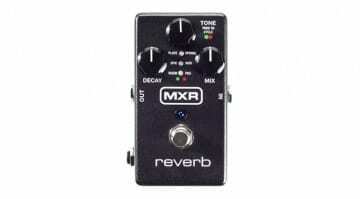 MXR M300 Reverb pedal. 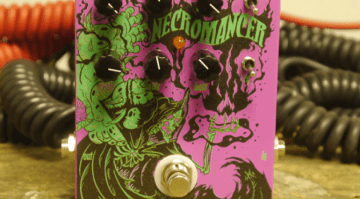 Six reverbs in a small package. 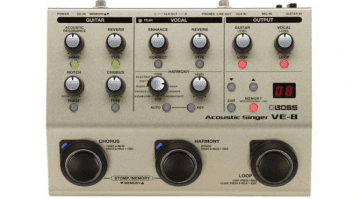 Six different reverbs crammed into a small form factor pedal, with some simple controls and the ability to use an optional expression pedal: Enter the MXR M300. 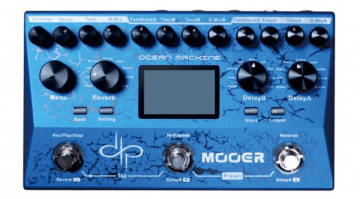 No need to share your busking money with the bass player anymore: Now you can replicate your bassist with this fancy new pedal for your guitar.